Of late Calais has been constantly in the news for all the wrong reasons; scuffles between police and desperate migrants, tales of deadly attempts to cross the Channel, and frequent “disruption” to transport services between England and France. What you may not know is that this region has a much dirtier problem (literally speaking). 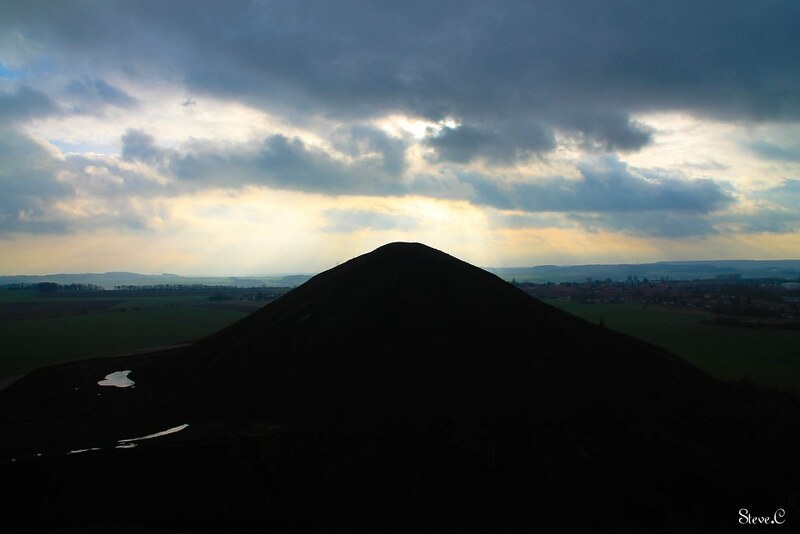 If you’ve whizzed past Calais on the Eurostar you may have noticed huge looming black slag heaps dominating the countryside. Much like the north of England and Wales, this was coal-mining country up until the last mine closed in 1985. The economic, social and psychological depression that accompanied industrial decline still lingers here today; unemployment remains high with 23% of the population of the town of Haillicourt out of work. Now we all know a glass of wine’s a great way to forget our troubles, but here in Pas-de-Calias winemaking is becoming part of the solution. Incredibly, some locals are trying to rejuvenate the region by planting vineyards on the slopes of mining spoil heaps. A few years ago a group of winemaking friends planted some 3000 vines on a spoil heap which looms over the small town of Haillicourt as a trial. Since these are France’s most northerly vines, the plants were put on the south-facing slope to maximise exposure to sunlight and to minimise the risk of dangerous spring frosts damaging the vines. The idea was to boost the local economy by producing high-quality Chardonnay grown on mining refuse. Imposing spoil heaps in Pas-de-Calais. Image Source: Steve C via flickr. So Chardonnay with notes of old coal mine? Oliver Pucek, one of the project’s founders, had previously admitted, “The only thing we are slightly worried about is how much it will be affected by the smell of coal.” The spoil heap vineyard actually produced its first 150 bottles in 2013, and it’s been given the affectionate name of “Charbonnay” (“charbon” being the French word for coal). Surprisingly, according Henri Jammet who is one of the project’s winegrowers, “the wine is great” with excellent acidity levels and classic Chardonnay citrus notes. He didn’t mention any aftertaste of coal (although if you were him would you?). The soil of the spoil heap has proved particularly conducive to grape-growing because it is stony and of poor quality, drains well thanks to the slope, and the black earth helps to retain warmth from the sun. I’ll leave you with the hope-filled words of Oliver Pucek; “If we can do it here, we can show it can be done elsewhere – even, perhaps, in Wales.” What would they call it there, I wonder? Charcoal? Story sources: BBC News “Making a vineyard out of a slag heap” by Hugh Schofield and the Guardian “From mines to fine wines” by Kim Willsher. Welcome! And have a good break. I’m sure you deserve an Irish coffee! Lovely thought, yes. It’s great to see old industrial areas bouncing back. Nice to hear that wine is saving the day.